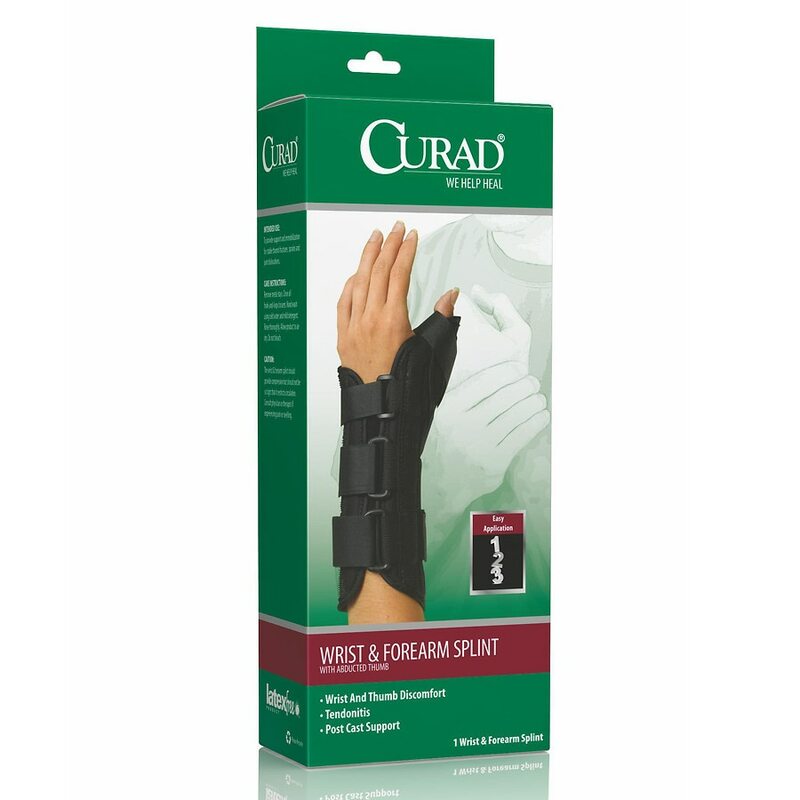 The Curad Wrist Splint w/ Abducted Thumb is great for the treatment of wrist and thumb injuries. This wrist brace stabilizes the wrist and thumb. Control the amount of compression with the three, forearms straps. Comfortably convalesce from injury with the aid of the Curad Wrist Splint with the Abducted Thumb. 6"-7" (measure the wrist circumference).